Equi-stat’s 2016 Annual Cutting Stats just arrived and we are beyond pleased with the results. It’s been a long time since High Brow Cat didn’t hold the No.1 spot, but who better to pass the crown to this year than one of his own sons? Congratulations to the Fults family on a stellar year for Metallic Cat! High Brow Cat ranked No.2 in Equi-Stat’s Leading Sire report this year and he did so with only a fourth of the foal crop that the No. 1 sire produced (*see chart below). This included the NCHA Futurity where he not only presented the highest advancement rate percentage based on entries and percentage of money earners, but also sired the NCHA Open Reserve Champion, Sir Long Legs. These statistics speak volumes of the quality of horses High Brow Cat continues to ignite the cutting horse industry with. 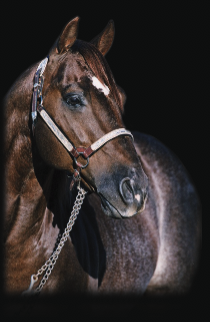 With more than $74 million in offspring earnings and the sire of eight NCHA Open Futurity Champions, High Brow Cat’s record remains unrivaled. When Jason Clark approached me about purchasing High Brow Cat back in 2013, I evaluated the transaction as I would any other investment. We weighed the pros and cons, assessed the potential and found there was no reason not to pursue this endeavor. First on the agenda was continuing the legacy of High Brow Cat. At the time, the ICSI procedure was not very well known in the cutting horse industry. There were many who doubted the procedure. However, after working with our veterinarians and researchers we found no reason ICSI could not be the key component in preserving High Brow Cat’s impeccable breeding traits. We proceeded with investing in the ICSI program and have since had tremendous success. This past year we were able to get more mares in foal than he has since 2010.. We are expecting 108 High Brow Cat foals this year. Many breeders even got multiple embryos – some of which will foal out in 2017 and some that were frozen to use at a later date. As the industry becomes more knowledgeable about ICSI and its benefits, we predict those numbers to continue to rise. I would also like to point out Equi-Stat’s Magic Cross statistics (*see chart below) on High Brow Cat. Our stud colts have always been in high demand and now, as more numbers are surfacing on High Brow Cat daughters, we are seeing a steady increase of interest there as well. As the breeding in our industry has become more refined than ever, we continue to see why High Brow Cat is a wise investment from all angles. Also on our agenda this year is introducing High Brow Cat’s genetic replica, Copy Cat. Copy Cat came as part of the package when we purchased High Brow Cat. We knew it was a controversial subject. We knew there were people in the industry that wouldn’t support breeding Copy Cat. But we also knew that because of the process Copy Cat was created from, which was the first of its kind in the equine industry, that there is a very strong possibility that Copy Cat’s invaluable DNA would be an added component in helping preserve the name of High Brow Cat. We have received great interest in Copy Cat, and we are excited to see how his story unfolds. Today, Colt Ventures is committed to continuing High Brow Cat’s success not only from a business standpoint, but also as a team that is intensely passionate about the sport of cutting. Through our own breeding program as well as those that continue to invest in High Brow Cat year after year, we are confident that High Brow Cat’s record will continue on the path of unstoppable.